When considering spring/summer fashion range, the white dress is a piece of blank canvas ready to be played upon – whether you are going for a classy look or a contemporary one; whether you want it for work or party or vacation – a good quality white dress with a proper cut and make would always take you places. Modern, Feminine, Versatile – No matter what your style is, this adaptable piece would exude an elegance that very few others can match. Light, Crisp, Comfortable & Breezy – White dresses help you stay cool and comfortable without compromising on the style quotient. They also are soothing to an onlooker. 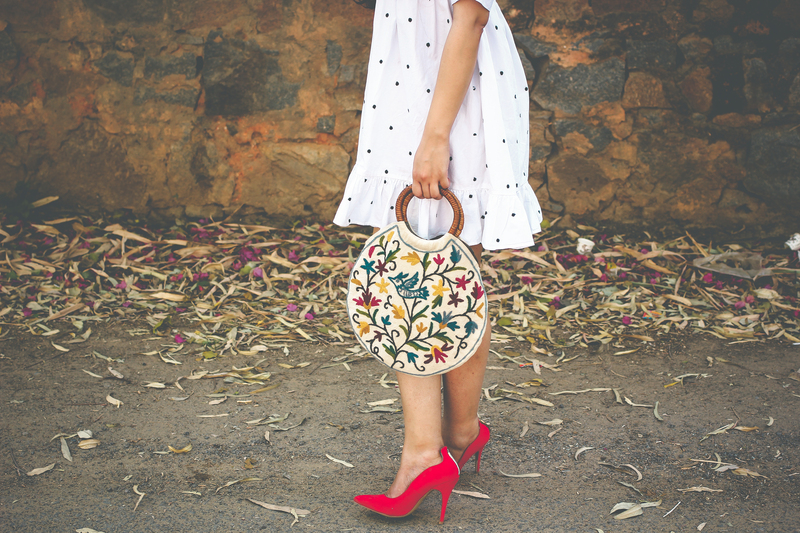 Allows layering and accessorizing to showcase your creativity and style statement – White creates the perfect backdrop so that you can bring a summery pop with vibrant accessories like bags, scarves, jewellery, shoes, hats, shrugs and more to complement your look. If you are ready to trust us, try accessorizing with indigo over your white dress and see how you stand out in an elegant way! An Off-shoulder skater dress for that bold party popsy. 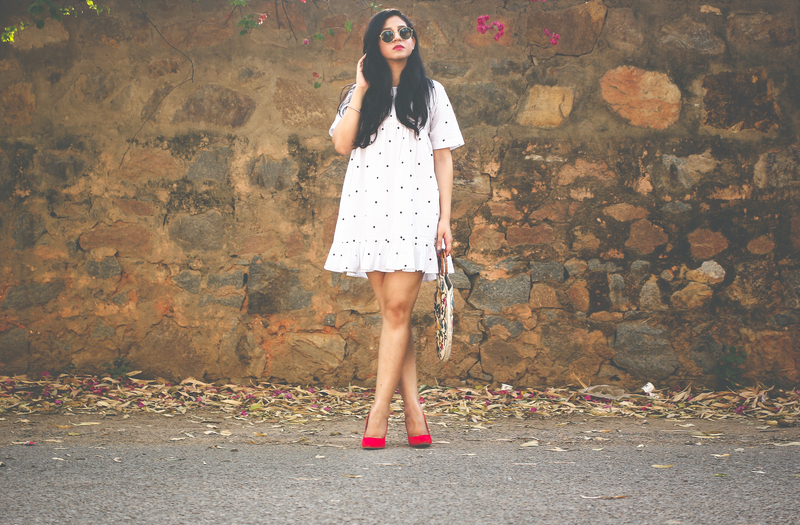 In this look : Zara polka dotted summer dress, Intoto pumps, Rayban classic round sunglasses, Jammu & Kashmir handloom bag, diamond bangle model’s own. Photography by Agamit. Concept, Direction and Styling by TrimmingsAndLace. Penned by Soumyasree Chakraborty. A T&L Réseau Production.